New York State Attorney General and Governor-Elect Andrew Cuomo has announced additional settlements in his investigation of “pay-to-play” practices and conflicts of interest at public pension funds. Veteran Albany lobbyist Patricia Lynch Associates, Inc. will pay a $500,000 fine and be banned for a period of five years from appearing before the State Comptroller’s Office. 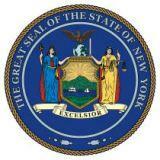 The State Comptroller is the sole trustee of New York State’s approximately $133 billion Common Retirement Fund (CRF). Cuomo’s investigation showed that Lynch, a former top aide of Assembly Speaker Sheldon Silver, arranged contributions to former Comptroller Alan Hevesi’s campaign. She also assisted in securing a consulting contract for the daughter of the Comptroller’s Chief of Staff and provided thousands of dollars in gifts to the daughter. Lynch met with the Comptroller and with senior staff in his office to discuss proposed investments by her lobbying clients. She and a partner, L.W. Strategies, also received fees from a client for lobbying the New York City Police and Fire pension fund. Cuomo also announced a settlement with fund advisor Aldus Equity, a Dallas-based private equity firm, which includes a $1 million restitution payment. The agreement concerns the firm’s responsibility for securities fraud engaged in by former Aldus principal Saul Meyer, who pleaded guilty in October 2009 to a Martin Act securities fraud felony charge for his conduct. At the time of Meyer’s conduct, Aldus was a leading outside advisor to several public pension funds including the state and NYC funds. Meyer is scheduled to be sentenced in the criminal case later this month. – The NYS Common Retirement Fund (“CRF”) has banned placement agents, meaning paid intermediaries and registered lobbyists, regarding investments with the Fund. The ban includes entities compensated on a flat fee, contingent fee or any other basis (contingent lobbying fees are never permitted in New York). – The NYS Comptroller has issued an executive order that prohibits the CRF from hiring, investing with or committing to any Investment Adviser after a contribution has been made by the Investment Adviser or any Covered Associate of an Investment Adviser (i.e. general partner, managing member, executive officer) who has made a political contribution to the State Comptroller or a candidate for State Comptroller. There is a limited exception that allows individuals to contribute no more than $250 to their own representatives. The prohibition applies to contributions made within the past two years. The definition of “Investment Adviser” includes investment advisers registered with the SEC and those investment advisers exempt from registration with the SEC. – The NYS Comptroller has created a pension fund task force and a special commission, co-chaired by Mayor Koch and Frank Zarb, to review operations of the State Comptroller. They have also hired special ethics counsel and created an Inspector General position. Legislation has been introduced to codify some of the reforms that were promulgated by Executive Order. – In New York City, there is a ban on placement agents for private equity. In June of 2010, Comptroller Liu announced a series of new disclosure requirements for those who do business with the City pension system, including both the Teachers Retirement System and the New York City Employees Retirement System (“NYCERS”). For example, investment managers must disclose all contacts with the City Comptroller’s Office; must certify that no placement agent was used in connection with securing private equity; and must disclose all fees. – Placement agents and other third parties who are engaged in the business of effecting securities transactions are required to be licensed and affiliated with broker-dealers that are regulated by an entity now know as the Financial Industry Regulatory Authority (“FINRA”). See, Attorney General’s Assurance of Discontinuance In the Matter of Patricia Lynch Associates, Inc., p. 4, citing sections 3(a)(4) and 15(b) of the Securities Exchange Act of 1934. To obtain such licenses, agents are required to pass the “Series 7” or equivalent examination administered by FINRA. Id. In addition, the Martin Act (NY General Business Law Article 23-A) requires that all dealers, brokers, or salesmen (e.g., placement agents) who sell or purchase securities within or from New York State must file broker-dealer registration statements with the Attorney General. Id., citing New York General Business Law section 359-e(3). New York Governor David A. Paterson has announced extensive ethics and campaign finance reform legislation, the “Reform Albany Act”, which will be a focus of his second State of the State address. The proposed legislation calls for the creation of a single, independent State Government Ethics Commission with advisory and enforcement powers regarding campaign finance, ethics and lobbying; and which would replace the New York State Commission on Public Integrity. It also provides for increased oversight and enhanced reporting by state officers of outside business activities, and enhanced reporting requirements for lobbyists. And, it would replace the State Comptroller as sole trustee of the New York State Common Retirement Fund (one of the largest pension funds in the U.S.) with a 5-member Board of Trustees. The legislation also includes sweeping campaign finance reform: drastically reducing maximum contribution limits, limiting contributions to housekeeping accounts, and banning corporate contributions; as well as providing for a new system for the public financing of campaigns. The Governor has also proposed term limits for members of the Legislature and statewide officials (which would require a State Constitutional amendment). The sweeping ethics reform initiative follows the recent trial and conviction former Senate Majority Leader Joseph L. Bruno on corruption charges, which exposed weaknesses in State ethics laws; as well as Attorney General Andrew Cuomo’s investigation of Pay to Play activity involving the administration of the Common Retirement Fund under the former State Comptroller. While several of the concepts in the legislation have been the subject of prior proposals, the reform package faces an uphill battle in the State Legislature. The State Senate and State Assembly are developing their own ethics initiatives. And, the estimated 30 million dollar price tag for public financing of campaigns comes at a time of financial crisis in the State, with the budget deficit in 2010 estimated at between 7 and 9 billion dollars. New York Attorney General Andrew Cuomo has announced that Elliott Broidy, chairman of Markstone Capital Group, has pleaded guilty to a felony charge of rewarding official misconduct, in cases involving senior officials in the office of former New York State Comptroller Alan Hevesi. Broidy funneled close to 1 million dollars in payments for the benefit of four senior officials in Hevesi’s office, while he was pursuing work with the New York State Common Retirement Fund. The payments were made to friends or relatives of the officials. The Common Retirement Fund is one of the largest pension funds in the country, and the State Comptroller serves as its sole trustee. It has been reported that the Attorney General’s ongoing investigation has also directly implicated former state Comptroller Hevesi, for accepting luxury trips to Israel and Italy from Mr. Broidy. This is the first time that Mr. Hevesi has been implicated for receiving a direct financial benefit from an entity seeking work with the Common Retirement Fund. New York State Attorney General Andrew M. Cuomo has ordered dozens of charities to take back illegal political contributions, or risk losing their tax-exempt status, [the New York Post has reported]. Cuomo has uncovered improper campaign contributions by not-for-profit organizations to New York State lawmakers and New York City council members. Federal and state laws prohibit certain not-for-profit organizations from engaging in political activity, including making campaign contributions. Violation of these laws can jeopardize an organization’s tax-exempt status. It has been reported that Cuomo’s investigation of campaign contributions is a by-product of an ongoing probe launched two years ago into pork-barrel spending — also known as “member items” — by New York State lawmakers. It is being reported that some illegal contributions have been made after an organization received a member item from state lawmakers. New York Attorney General Andrew M. Cuomo has announced guilty pleas by Raymond Harding, former Chair of the New York State Liberal Party, and Saul Meyer, a founding partner of Aldus Equity, with respect to pay-to-play schemes involving the New York State Common Retirement Fund (“CRF”). Harding admitted to participating in a scheme to corrupt the process of selecting investments at the CRF to favor political allies and friends, and faces up to four years in prison. Meyer plead guilty to a felony Martin Act charge involving the payment of illegal kickbacks in exchange for business with the CRF, and also faces up to four years in prison on the charge. The guilty pleas arise out of a two-year, ongoing investigation by the Attorney General into corruption involving the CRF and the State Comptrollers Office. The New York State Comptroller is the sole trustee of the CRF, which is the largest pool of money in New York State and the third largest pension fund in the country. Contributed by Kelly Lamendola, Esq. The contentious upcoming criminal trial of former New York City Police Commissioner Bernard Kerik represents an increasingly common willingness among federal and state prosecutors to use criminal “honest services” and corruption statutes to address alleged “pay to play” violations. This case, and others like it, represent the culmination of a conscious decision among the prosecutors and agents of the Department of Justice Public Integrity Section to use undercover investigations to investigate and prosecute pay to play violations actively. From the looks of things, these criminal probes are having an impact. In a June 23, 2009 press release announcing the sentencing of former DC Department of Consumer and Regulatory Affairs Contact Representative Ikela M. Dean, the Department of Justice reaffirmed its commitment that alleged violations of public trust will be punished and that “The Department of Justice is committed to aggressively ferreting out this type of corruption and holding those accountable for their actions.” Recent undercover investigations by the Federal Bureau of Investigations have highlighted the seriousness with which the Department takes this mission statement. The pervasive use of federal undercover operations to ferret out and prosecute pay to play violations can be gleaned from recent indictments and Justice Department press announcements. The indictment against Mr. Kerik reveals a complex and ongoing undercover investigation to support allegations that he requested and received benefits from a series of unnamed construction and waste management companies while simultaneously assisting the companies to receive municipal permits and business. Trial in the (first of three) Kerik matters is currently scheduled to commence October 13. That trial, along with the upcoming corruption trials of Bergen County, New Jersey Democratic Chairman Joseph Ferriero and the ubiquitous former Illinois Governor Rod Blagojevich, promise to highlight the aggression with which these cases are investigated and prosecuted. Other, similar, investigations and indictments have recently been announced in East St. Louis, Miami, and the District of Columbia. Clearly, increased criminal prosecution – and resulting public outrage – are having a legislative effect. On September 9, 2009, after a very high profile federal raid resulted in 44 arrests in New Jersey, the Jersey City Council suddenly reversed past opposition to pay to play legislation to pass an ordinance restricting developers from making political contributions in exchange for city redevelopment approvals. Ironically, among those voting for the new ordinance was City Council president Mariano Vega who was among those arrested and charged with taking cash from a developer seeking to do business in Jersey City. On September 23, 2009, New York State Comptroller Thomas P. DiNapoli announced a ban on pay-to-play practices related to the $116.5 billion dollar New York State Common Retirement Fund (the “CRF”). The Comptroller issued an Executive Order and Interim Policy that prohibits the CRF from doing business with any outside Investment Adviser within two years after the Investment Adviser, or any senior officers or executives of the Investment Adviser, has made a contribution to the State Comptroller, or to a candidate for State Comptroller. An “Investment Adviser” is any Investment Adviser required to be registered with the SEC, and those Investment Advisers exempt from registration under section 203 of the Federal Advisers Act. The Interim Policy does not apply to contributions made by senior officers and executives (specifically defined in the Policy as “Covered Associates”) to the Comptroller or a candidate for Comptroller, provided that the individual was entitled to vote at the time of the contribution, and the aggregate amount of the contribution does not exceed $250 to any one candidate per election. The Interim Policy goes into effect on November 7, 2009, and will remain in effect until the SEC adopts a final rule pertaining to political contributions. The New York State Comptroller is a statewide elected official, and is the sole trustee of the CRF, which is the third largest pension plan in the United States. Two different retirement systems receive benefits from the CRF: the Police and Fire Retirement System and the Employees Retirement System, which include both State and local employees. Together, these systems have over one million members, retirees and beneficiaries. The ban on political contributions from Investment Advisers follows the Comptroller’s recent prohibition of the use of “placement agents”. On April 22, 2009, Comptroller DiNapoli announced a ban on the use of third-party placement agents and other paid intermediaries and lobbyists (herein, “placement agents”) with respect to investments with the CRF. The ban precludes placement agents from accepting any type of fee for providing access to the CRF and its investments. The ban on placement agents followed an investigation by New York State Attorney General Andrew Cuomo, which in March of 2009 resulted in a 123-count indictment against two aides of former State Comptroller Alan Hevesi, on charges that they brokered deals between the CRF and politically-connected outside investment funds, earning millions of dollars in fees in the process. That case is awaiting trial. Comptroller Hevesi resigned in 2006, and subsequently plead guilty to charges of defrauding the government, which arose out of his use of state employees for personal purposes. Attorney General Cuomo’s ongoing investigation of public pension fund corruption has involved several private equity and investment firms. 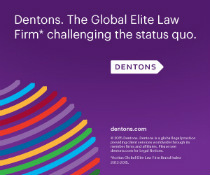 Many firms have settled with the Attorney General’s Office in recent months, and while generally not admitting wrong doing, have agreed to: (i) make a significant settlement payment, which will be submitted to the CRF, and (ii) sign a “Public Pension Fund Reform Code of Conduct”, which prohibits the use of placement agents with respect to public pension funds, and bans campaign contributions to officials at public pension funds. In April and May of 2009, the trustees of the City of New York’s five municipal pension funds each voted to suspend the use of placement agents. The five pension funds are the City Employees Retirement System (“NYCERS”), which is the largest municipal public employee retirement system in the U.S.; the City Fire Department Pension Fund; the City Police Pension Fund; the New York City Teachers Retirement System and the City Board of Education Retirement System. The funds have combined assets of approximately 80 billion dollars.